You can change the in/out mapping in the parameter view. It is possible to send one input to multiple outputs or multiple inputs to one output and so on. Pretty much every use case should be covered. - Simple input / output switcher, easily accessible trough the right click menu of connection plugs. - Tidy up your machine view. 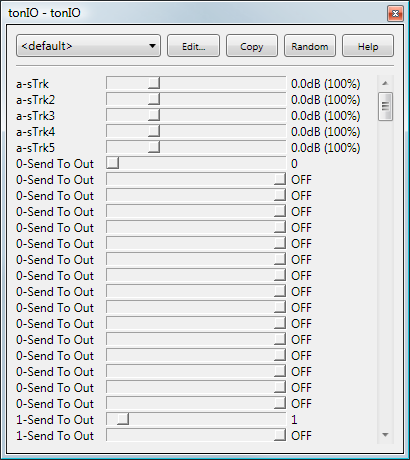 - Making up groups of inputs outputs for send / receive setups. The source is bundled in the zip.